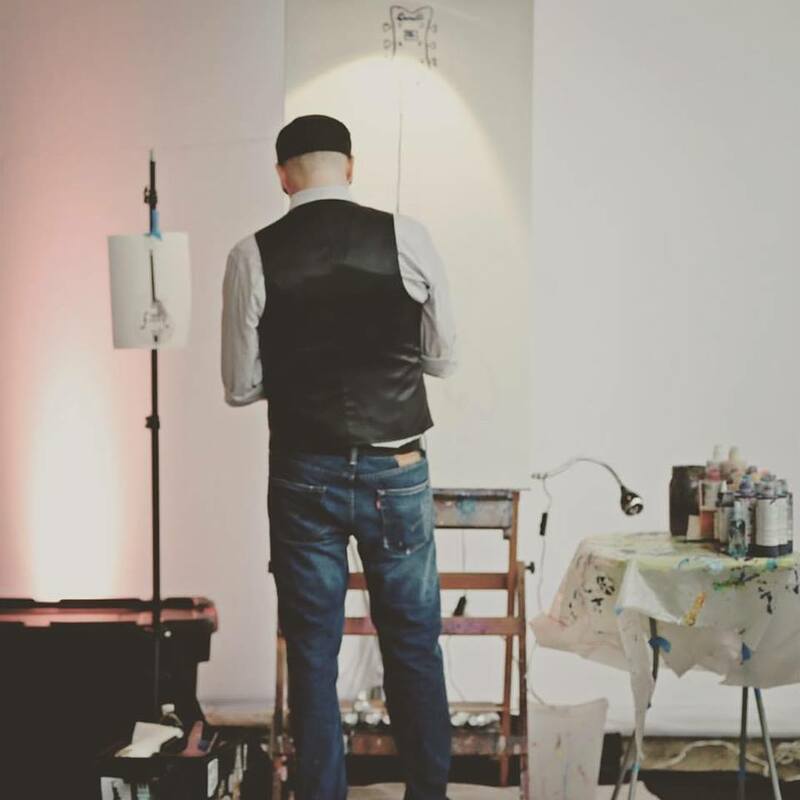 Looking for something to make your occasion extra special? Need an item to auction off to raise money for a cause? 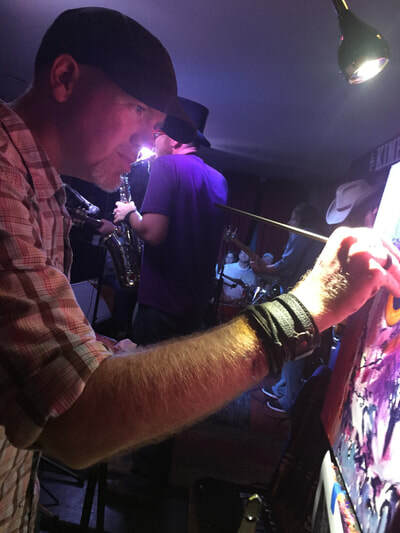 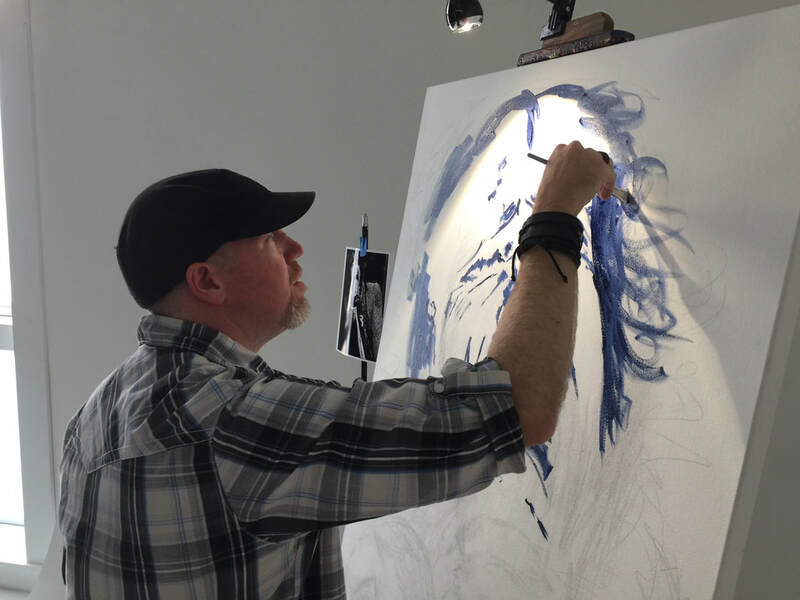 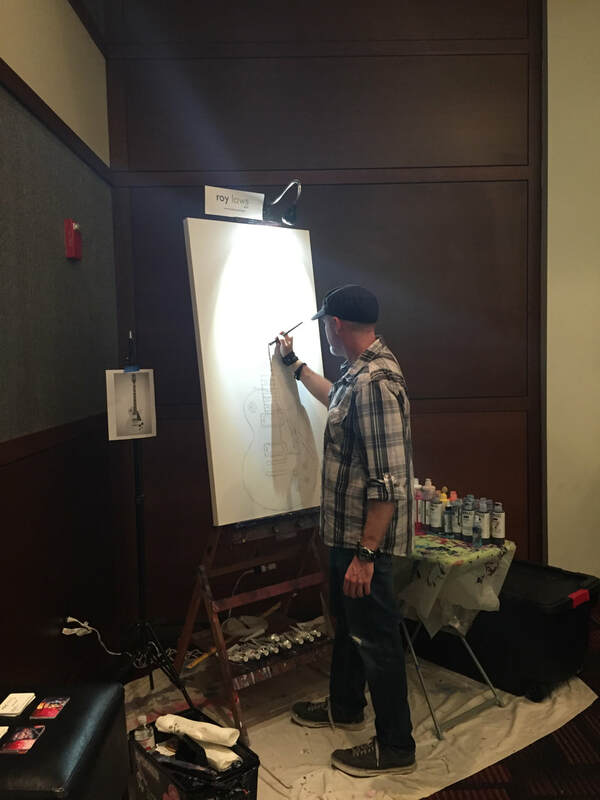 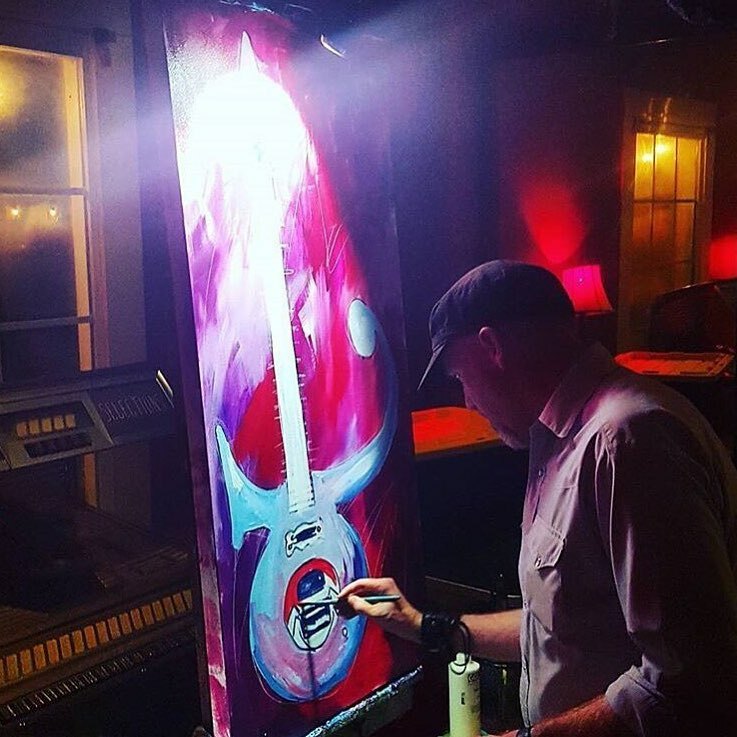 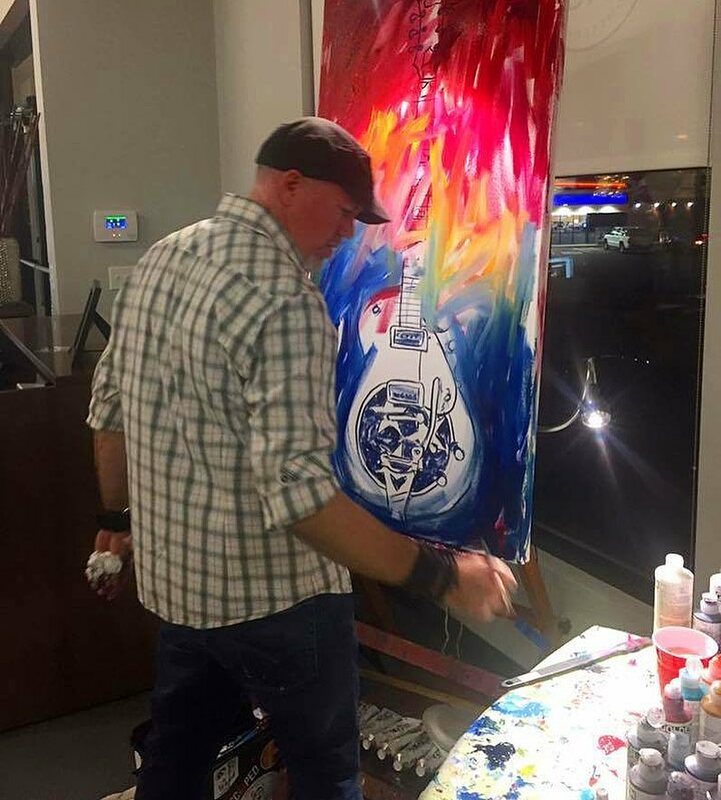 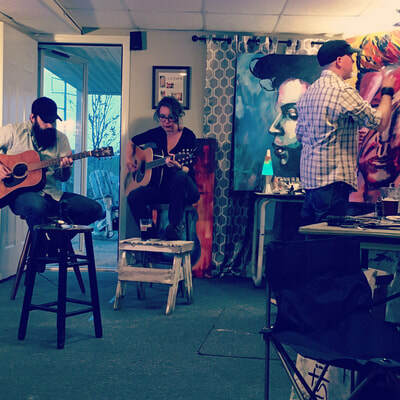 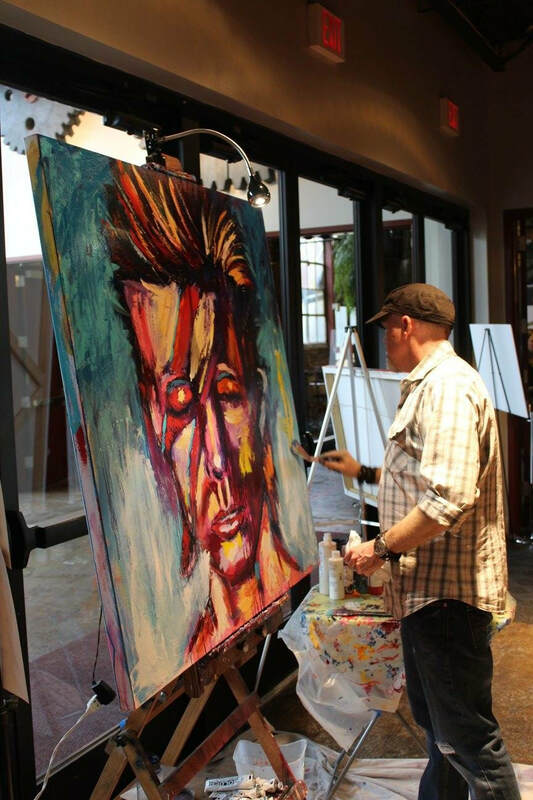 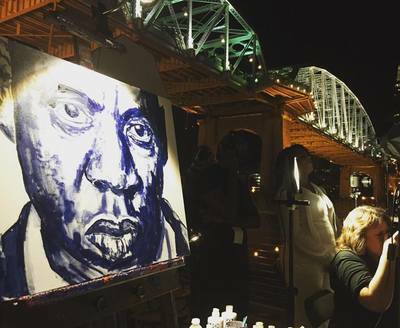 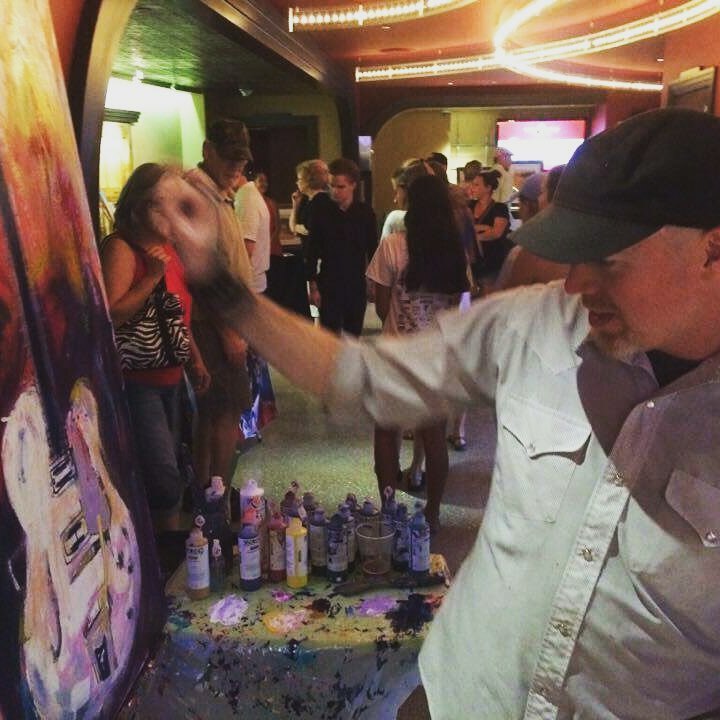 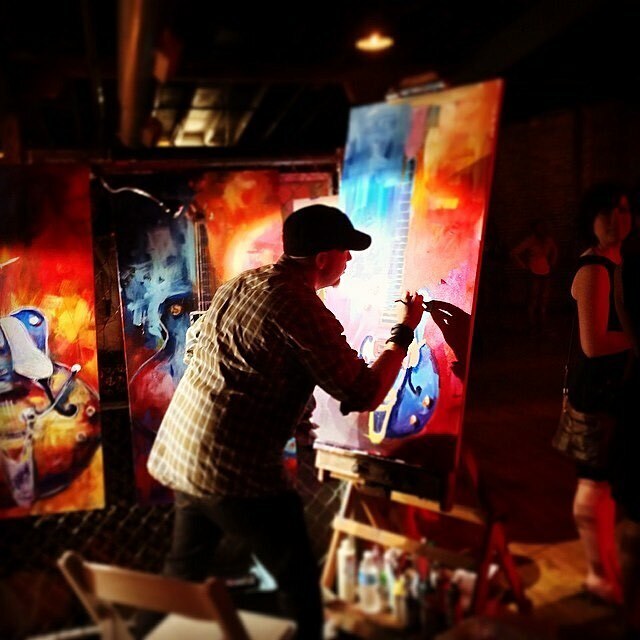 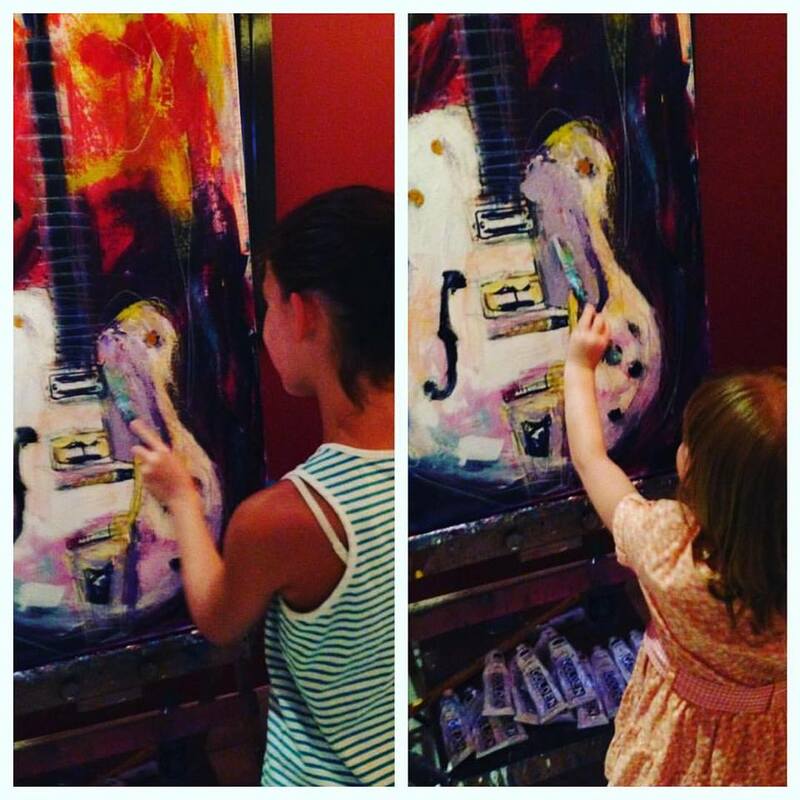 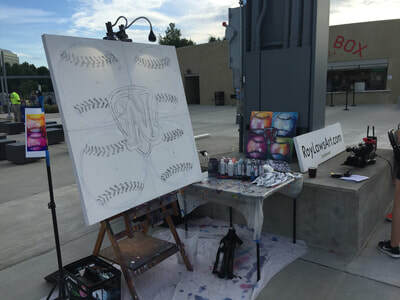 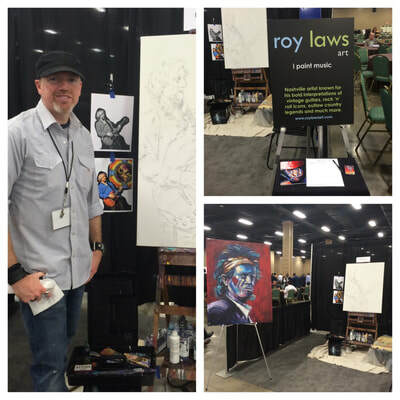 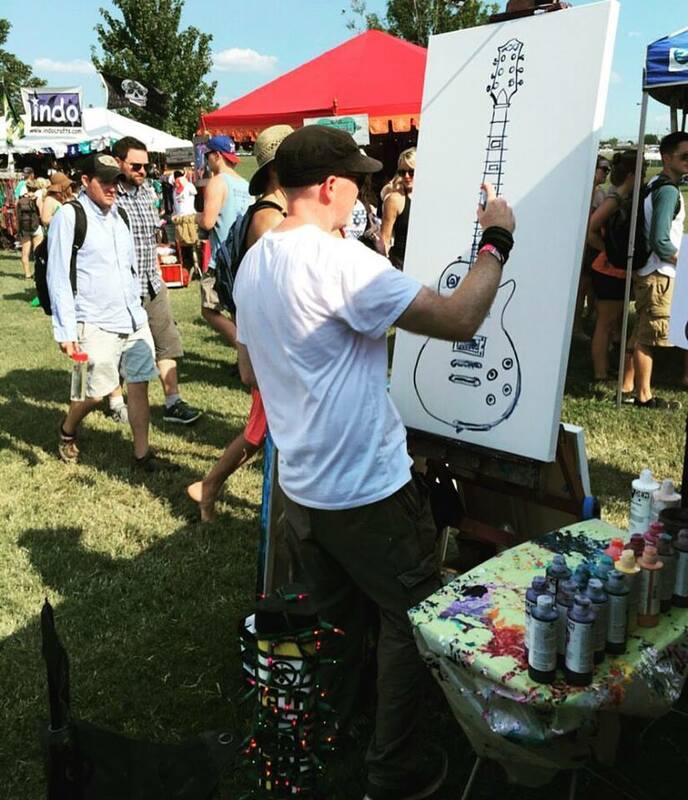 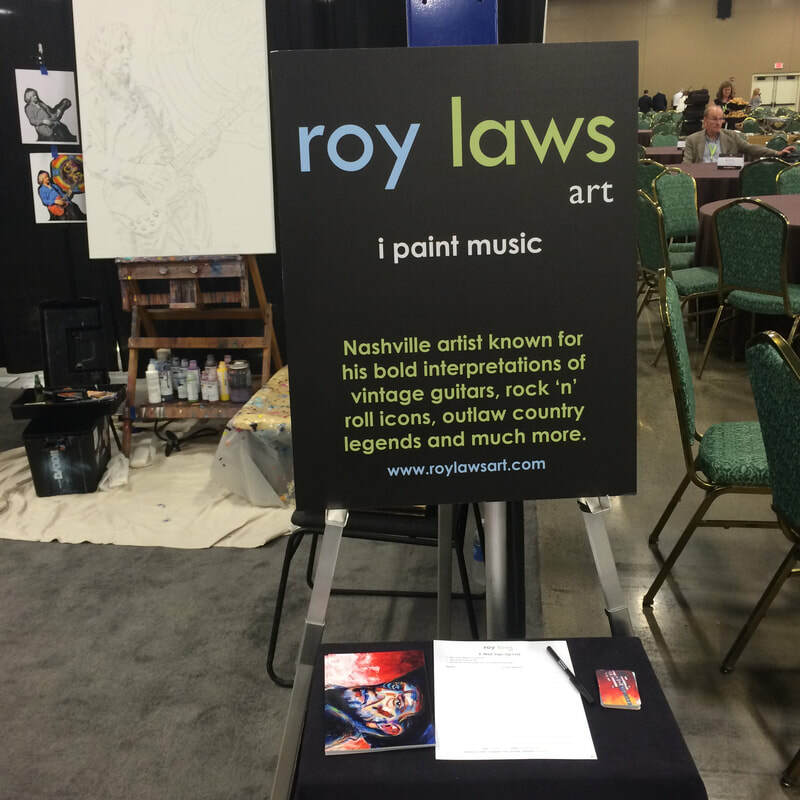 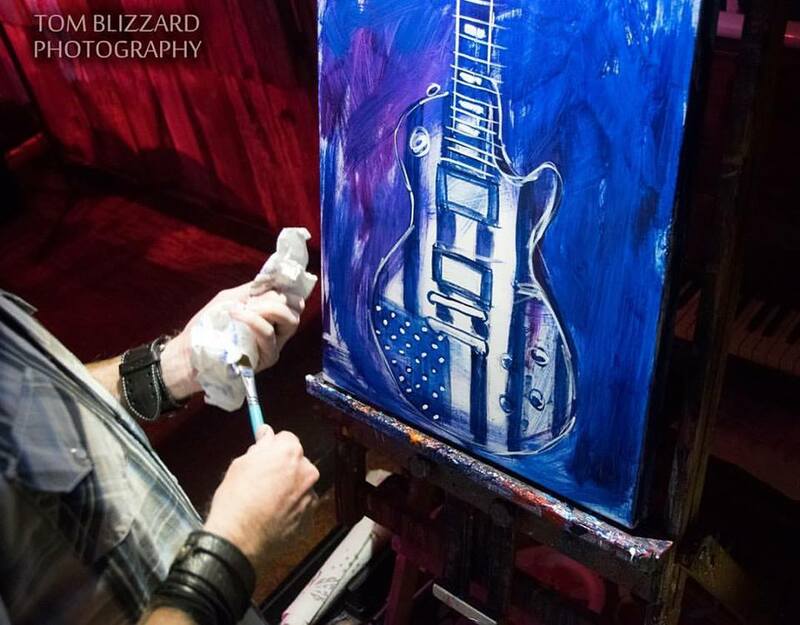 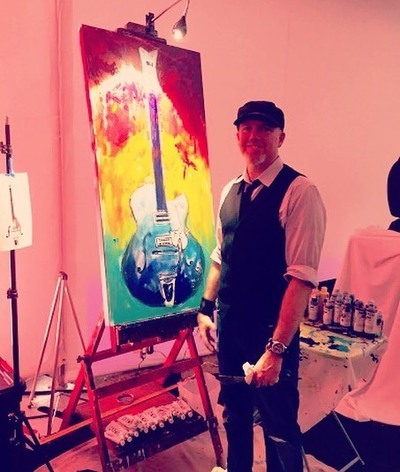 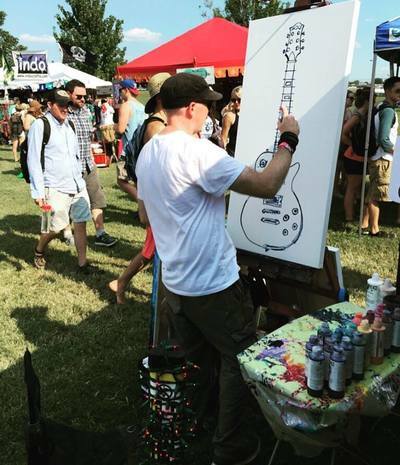 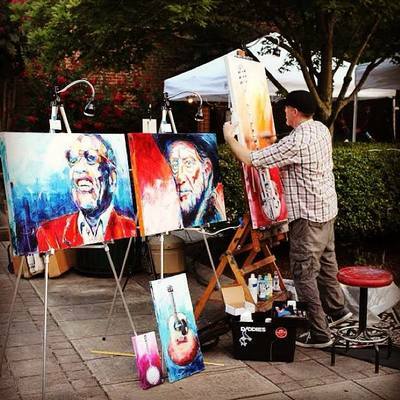 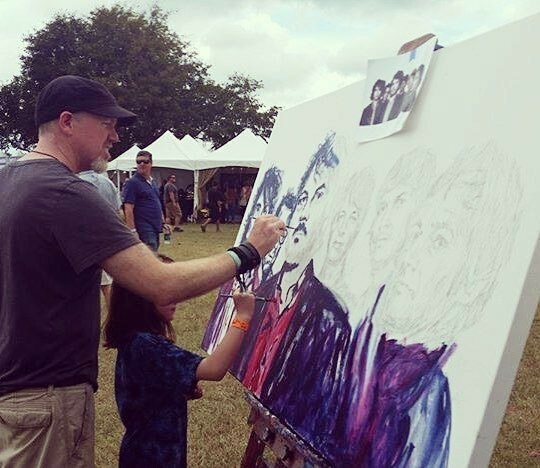 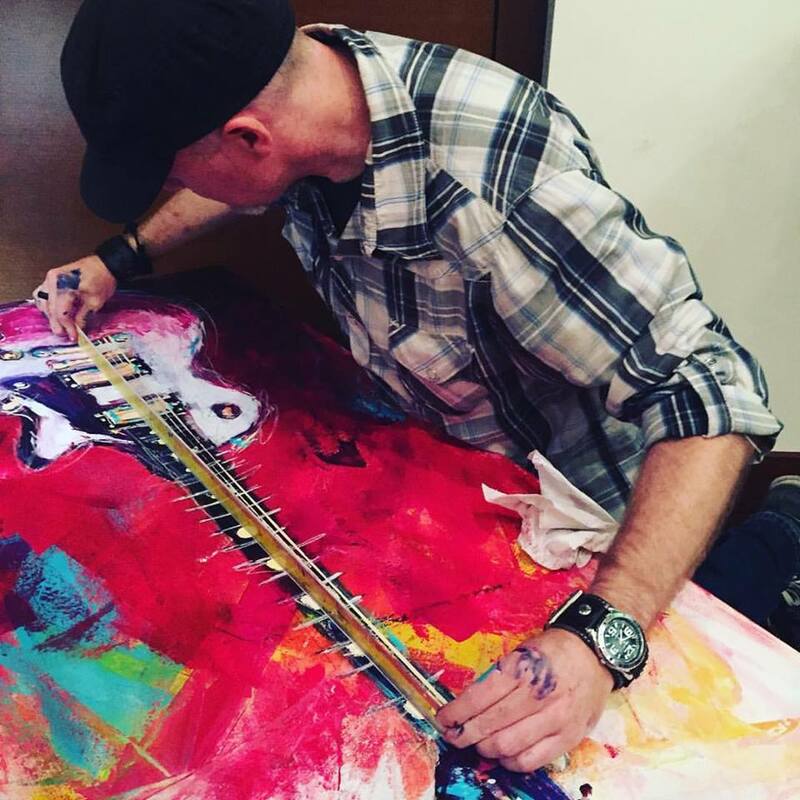 Live Art might be just what you're looking for! 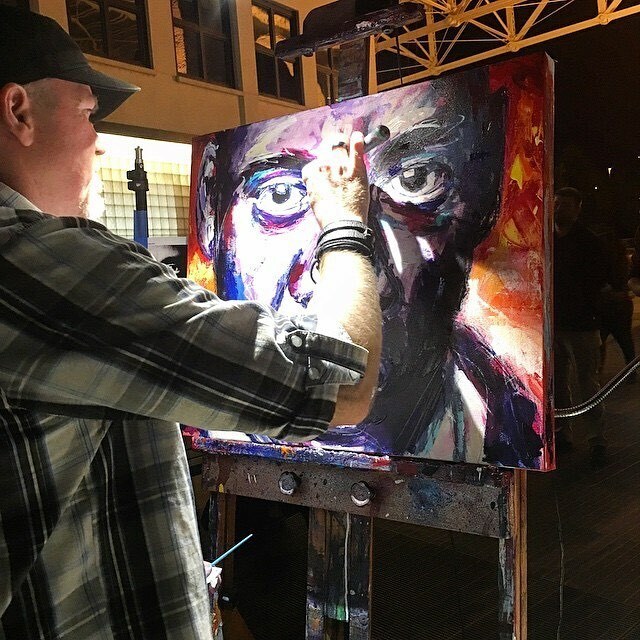 The majority of my works are created live in front of an audience. 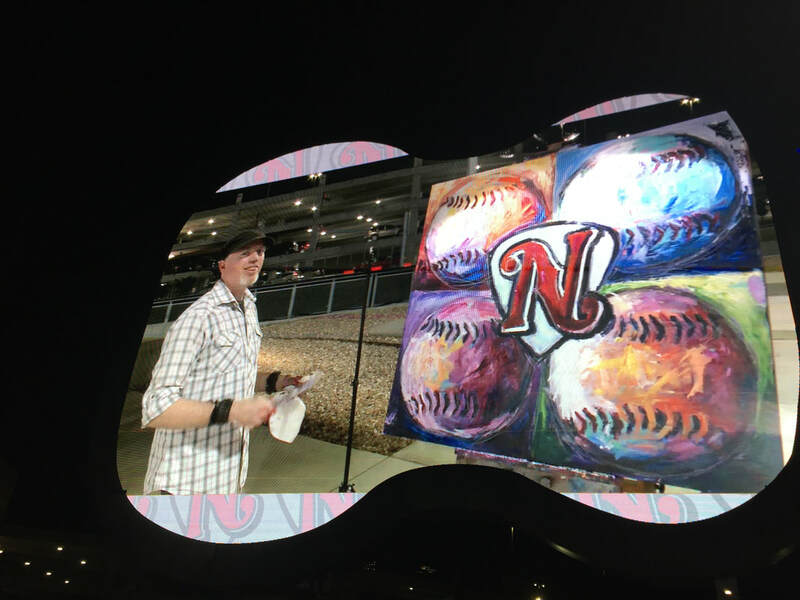 I love the energy and vibrancy that comes from working live and under the lights. Live Art forms a connection between the crowd and the art. 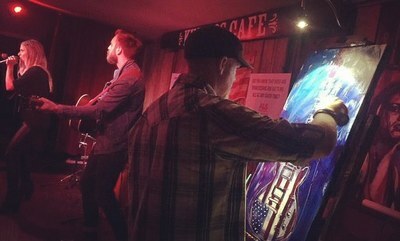 It also gives them a glimpse into how art is created. 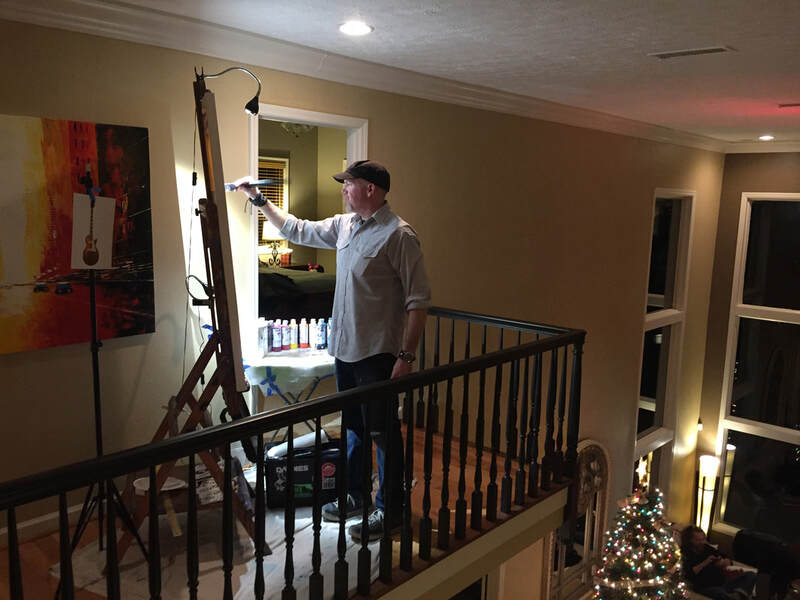 One of the best things about having art in your home is a good story to go with it, and live art is the best story you can have. 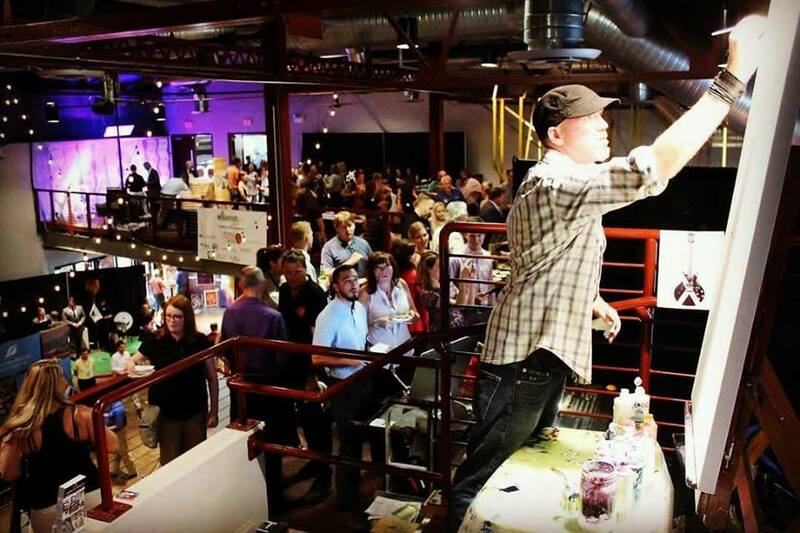 This is an in-event opportunity to raise donations, but without any extra work for you! 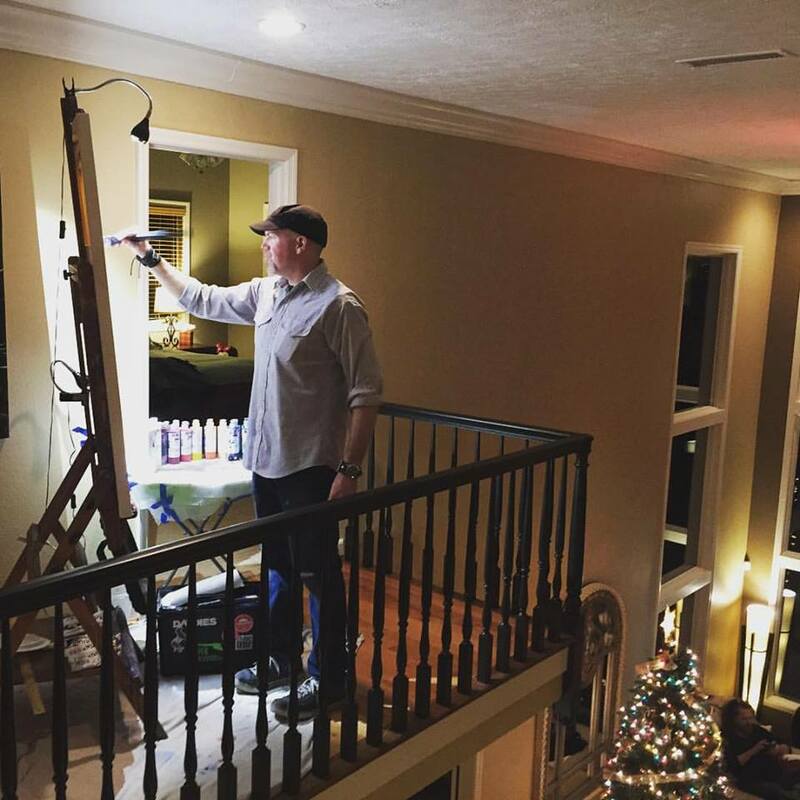 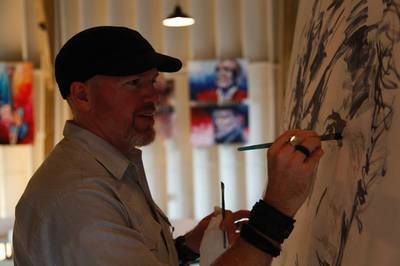 I paint live in front of your guests while they watch and mill around. 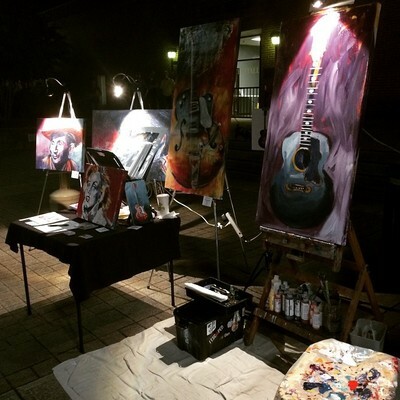 You can request something specific to paint or leave it to my discretion. 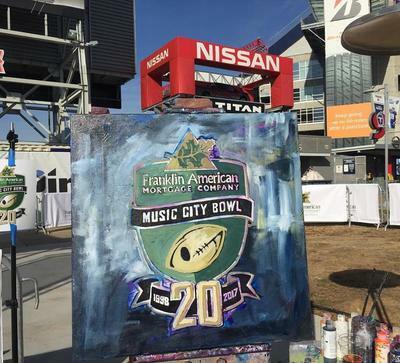 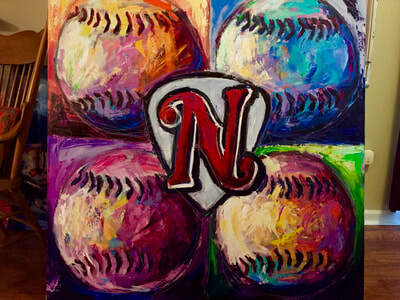 But my work always centers around music and Music City. 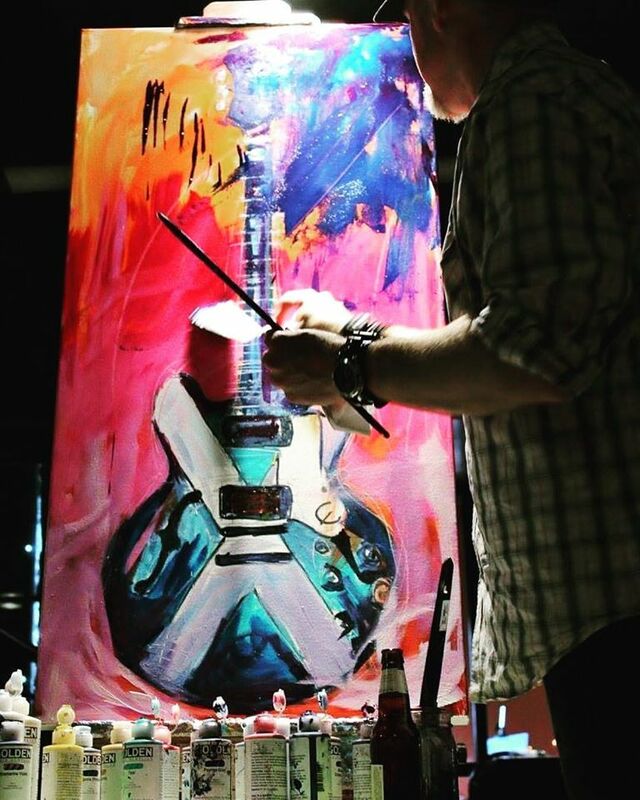 I can also paint recreations of past originals! 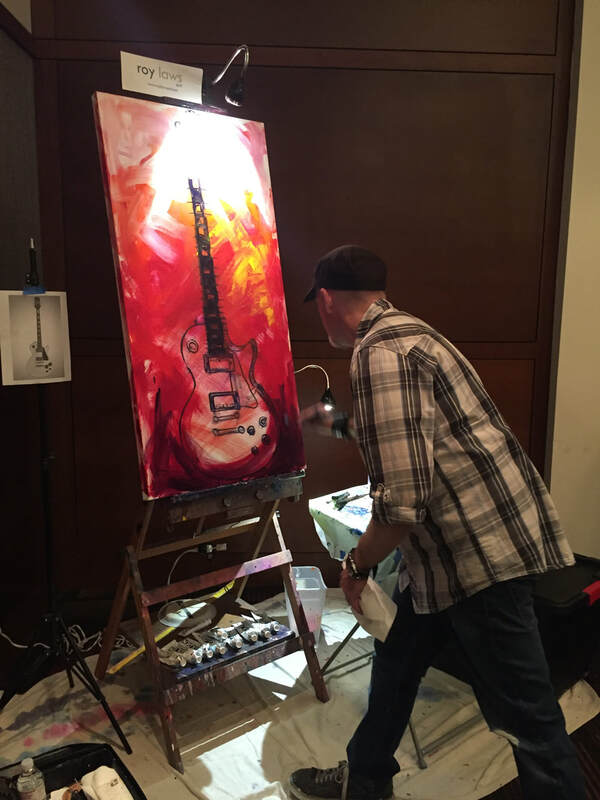 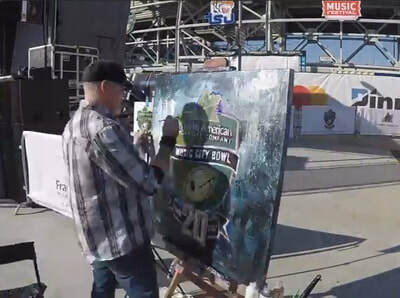 Sell the painting on the spot through a silent auction. Your non-profit organization keeps 50% of the final sale price.